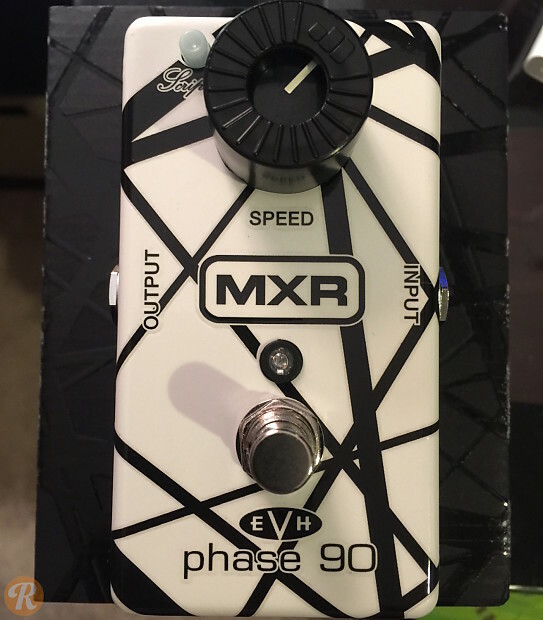 The MXR EVH Phase 90 35th Anniversary edition is a black & white handpainted version of the standard EVH Phase 90, including the push-button switch for "Script Logo" or "Block Logo" tones. MXR released this pedal to celebrate the 35th anniversary of the debut Van Halen record. This edition is limited to 1500 worldwide and fetches a slightly higher price than the standard EVH Phase 90.